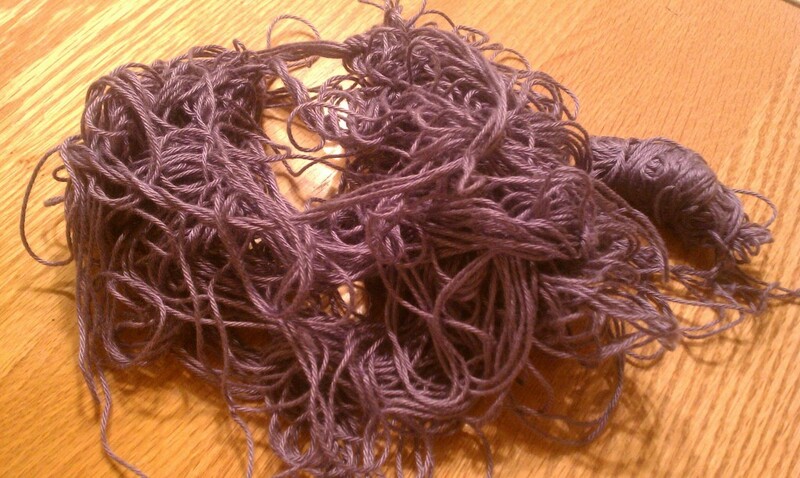 I’ve spent more than a few days unraveling a tangled ball of yarn. My kids said the yarn looked like a bowl of spaghetti or worms. Yum, you can decide the choice of image. In all seriousness, close friends and family would say that this would be a challenging task for me. I fully admit one of my failings is impatience. It’s not for nothing my husband teases me about wanting things now, along with a foot stomp for good measure. Faced with a tangled mess, my chattering mind cussed loudly. Of course I didn’t have the time to unravel knots, so, for the first hour there wasn’t any room in my thoughts to get down to the task. It seemed not only messy and unsightly but insurmountable to the point I’d almost lobbed the whole thing into the trash can. But then I got to thinking, this problem was exactly the sort of thing that had important life lessons and a pertinent exercise in patience for me. The first lesson was not giving up immediately when confronted with the surface problem. Acknowledging the truth of the problem (my impatience) was my first realization. When dealing with difficult tasks, I’ve always encouraged my kids to try their best and, to this end, we’ve created a family motto: Cheungs never give up! How could I then in all conscience give up at the first hurdle? I didn’t give up and the task proved a gift at the moment when I needed to hear the messages. I became obsessed with the tangles and my singular focus gave way to negativity. I had to walk away, acknowledged I’d done my best for the day and picked it up on another day with a fresh perspective. Over the many days, I lessened my impatience and expectations, and, somehow, the untangling of the yarn reached a critical point where it literally started to unravel and fall into place. The perfectionist in me was terribly upset when I got towards the end and the yarn was so twisted I had to cut it. Indeed, I had to cut it several times. This yarn was like my life–though I wanted smooth and straight, I got imperfect and knotted. As most of us would do, I joined the ends together to continue and to make it work. And what if the yarn had been beyond repair? I would have had to buy another ball of yarn, despite the expense and inconvenience, in order to finish my project, and put it down to experience. I’m glad I had some light bulb moments with the yarn because my family is dealing with the aftermath of terminal illness and death of a loved one. I apply the lessons of the yarn to the grieving process, especially for my kids, who are confronted by death for the first time. It’s messy and has many layers, and we have to deal with it bit by bit. Next time your problem looks like a bowl of tangled spaghetti, worms or a ball of yarn know you have choices; you can unravel it, throw it away or cut it and use whatever you can. There isn’t a right or wrong choice, only yours. 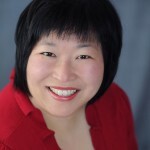 Susan Shifay Cheung has turned her hand to many forms of writing in her various roles, over the years, as corporate trainer, management consultant, journalist and writer. You can contact her at y2s2cheung@yahoo.com.